As team leader for Le Roy Financial Group, Le Roy seeks to create a clear wealth strategy for all those who walk through the doors at ScotiaMcLeod. This could come in the form of investment management, retirement planning, tax planning or insurance and estate planning, all of which the Le Roy Group has become renowned for. Having started his career in sales with Equion Securities Canada, Le Roy got his first taste of advising while working for RBC Insurance. 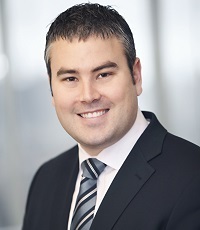 His success there would lead to roles with AGF Management Limited and Assante Wealth Management, where he honed his skills before landing at ScotiaMcLeod in 2011, where he has remained ever since.